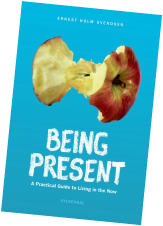 Being Present - a practical guide to living in the now was published by Gyldendal Publishers in 2004 and quickly became a bestseller. The book introduces a fascinating combination of psychology, brain research, Chinese and Japanese philosophy, theories of improvisation and practical insights into human nature. Through clear examples and simple exercises it offers concrete ​instructions on how we can all reclaim our natural and spontaneous ability to be present in the here and now, both in our own lives and in our relationships with others. YES! 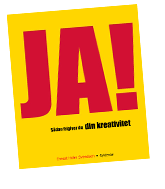 Liberate Your Creative Mind was published by Gyldendal Publishers in 2008. The purpose of the book is to explain what I call "the creative attitude". The book is based on my many years of experience with creative work, both personally and as a trainer and facilitator of creative processes. What I have found is that creative thinking is not so much a matter of technique as it is a matter of the attitude with which we engage with our task. It is all about gaining access to an inner attitude which is open, flexible, spontaneous and playful. Without that, there is no creativity, because without that, we do not activate the parts of our brain where creative processes take place.